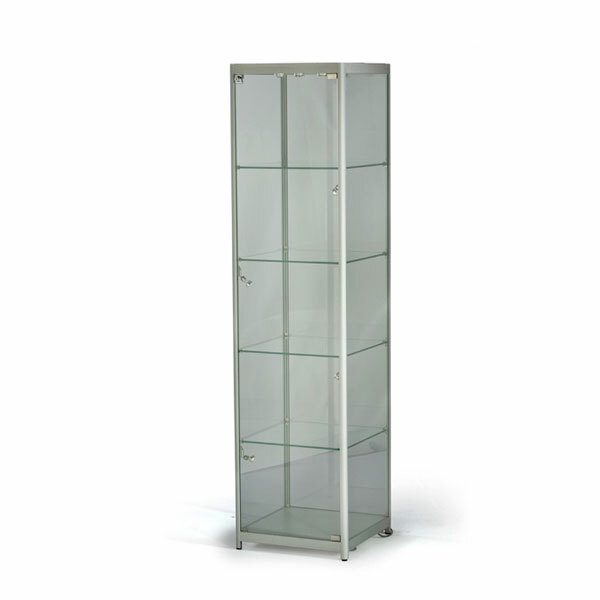 Hire tallboy showcases from Event Hire UK and you can be sure that you will receive top quality display cabinets for hire at competitive prices and in great condition which, if you are showing off your company's products or similar, you need them to be the best to reflect your corporate image. With temepered glass internal shelves and interior LED lighting, together with being lockable, this is a glass display cabinet for hire which is perfect for shows such as jewellery shows and fairs where you want to showcase your products up close to your guests and visitors but also want to keep your items safe. 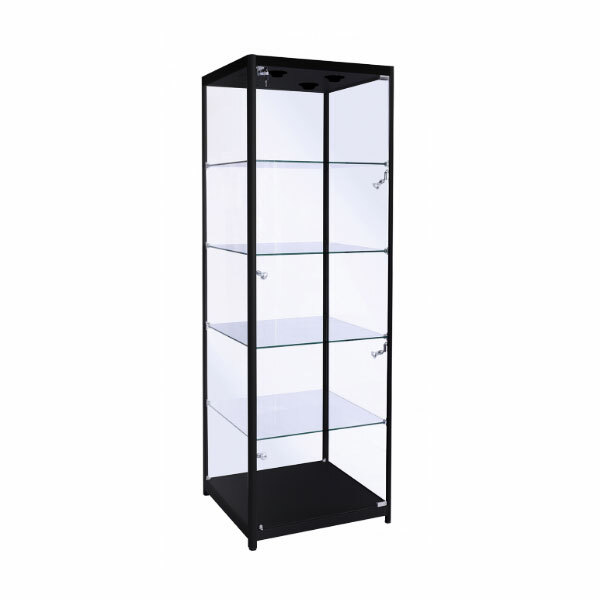 Made in glass with 3 internal glass shelves, this display cabinet for hire also has a metal cabinet at the bottom which is useful for the storage of additional products or brochures, for example. 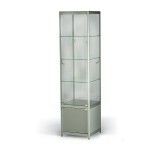 Hire exhibition furniture from Event Hire UK today!